Since we were founded in 1987 we have gained valuable experience in the provision of tailored home care packages for children and adults with a range of complex healthcare requirements. Throughout our years of experience our values, service and integrity are unchanged. So too is our vision, which makes our home care service reliable, professional and respectful to our clients’ needs. Our home care services are provided by highly trained and qualified healthcare professionals. And the care packages we create are tailored specifically to you or your loved one’s needs and wishes. Our care at home services were rated by the Care Quality Commission as Good. Our home care packages create a supportive and safe environment for our clients so they can enjoy their lives in an independent setting. We understand the responsibility associated with providing home care services and so provide the highest standard of care with dignity and respect. At the heart of our home care services is compassion; compassion shown to our home care service users and their loved ones. Our home care team provide an in-depth immediate needs assessment to provide a full evaluation of a client’s needs. This focusses on medical and social health issues as well as activities of daily living and cognitive and behavioural issues. An individual’s specific support needs are also included the assessment as well as any necessary adaptations and equipment needs. Further specific areas of assessment include a client’s accommodation requirements, transport issues, employment history as well as any specific benefit issues. Finally the impact of a package on the client’s family and others is considered. Our home care team is able to identify immediate needs and provide concise but comprehensive reports complete with recommendations and costed proposals. We are also able to deliver support and risk management plans which enable individuals to take the first or next step in achieving shared healthcare goals. We provide person-centred care packages with respect and dignity at the core of our services and our reputation for excellent care at home services is built on the quality of our experienced and professional staff. We understand the positive effect a quality care at home service can have on a client’s quality of life and so undertake a sensitive and thorough appraisal of our clients’ needs in order to perfectly match our healthcare staff with the most suitable care packages. From the time of first contact our staff have an interview with our in-house healthcare professionals before we carry out a DBS check as well as independent references. After the application process we undertake a number of on-the-job shadow shifts with an experienced Jane Lewis team leader to confirm the quality their care. As specialists in the provision of care packages our staff are highly experienced and dedicated to providing high quality and expert care. We provide the necessary staff to fulfil the specific needs of our clients from Specialist Support Workers to Registered Nurses and Healthcare Assistants. 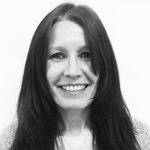 Lisa has been with Jane Lewis for 13 years, initially working as a specialist support worker in Complex Care, trained and competent in many clinical areas to include tracheostomy, gastrostomy (PEG), suction, epilepsy and oxygen monitoring. Lisa has since progressed to team leader, social care assessor and complex care manager and her most recent post of service development manager. 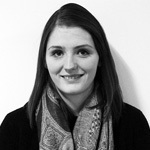 Lisa is experienced securing high value contracts and commissions and has contributed significantly to the growth of the branch over the last 4 years. She is experienced in managing relationships with key stakeholders, including local authorities, CCG, case managers and solicitors. Lindsey joined Jane Lewis Care at Home Department in 2015 and has made a significant and positive impact in the growth of the department. 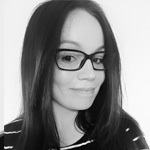 A University graduate in Psychology with a background in home care Lindsey is focused on providing our clients with the best possible person-centred care and is motivated by matching our specialist support workers and service users together. She also liaises closely with case managers and social workers to set up packages from the beginning with open and honest communication from the start. Heather re-joined Jane Lewis care at home department after previously having been a team leader for home care, now looking forward to a brand new role as Social Care Assessor, learning/developing new skills and working with an established, confident team in all aspects. Very motivated to take on a new challenge in complex care and excited about working for Jane Lewis again focusing on performing my new role to the best of my ability and providing the ultimate best care.